Even marketing experts are still asking that question because of the relative newness of inbound marketing. The internet shook up many industries, and marketing was no different. The dust is still settling and new best practices are being introduced every day. The question of how to leverage your inbound marketing budget to create a strategy that will be both effective and within budget is still apt. To help you get your feet planted, here is some advice on where to spend your inbound marketing budget and why these areas are a good idea. If you’re completely new to it, inbound marketing is the reverse of traditional marketing (i.e., making your product visible to the most number of people and hoping some want to purchase). Instead, your goal is to target key audiences with relevant content that they will search out, thus focusing your efforts on an interested audience. There’s no steadfast rule to how much your inbound marketing budget should be. It’s quite possible to be cost effective when it comes to content, social media, and SEO; however, if you’re looking to get big results you’ll be proud to share with your board and stakeholders, it’s better to invest more heavily. You’ll see greater results, faster, when you invest. You need to decide which strategies will be most effective for your companyand how much to direct towards inbound. 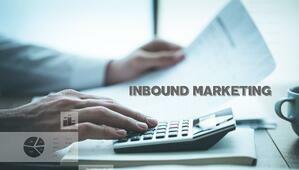 To help you decide, here are some areas you should definitely invest inwhen it comes to inbound marketing. Inbound, just like any marketing or business endeavour, requires a strategic approach in order to be successful. This is particularly true if you’re just starting your inbound strategy. 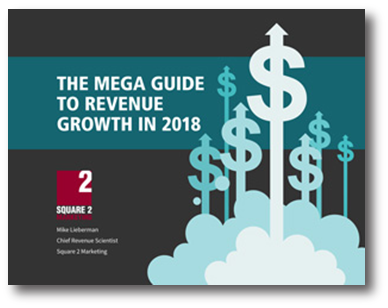 However, even if you’ve been using inbound for years, ensuring you have a comprehensive, up-to-date strategy will be the difference between revenue growth and decline. As part of inbound marketing, you’ll need to consider and develop buyer personas, value propositions and market positions, your brand identity and message, and your overall marketing objective. Whether you dedicate time in-house or hire an external consultant, you can’t skimp when it comes to creating a new inbound strategy. If you’re already balking at the cost of simply planning your strategy, marketing software may be the first place you consider cutting corners. While you can succeed with inbound without marketing software, it does make tracking and analyzing your results a lot easier. The ability to control every stage of your marketing funnel, from email to social media and blogs, all in one place should not be overlooked. HubSpot offers a great example of all-in-one automation software. Marketing software is also important when it comes to learning to adjust your methods and strategies based on past successes and failures. With the right software, you can see how each piece of your strategy is performing in real time. All the content and social media personalities will mean nothing if your potential customers have nowhere to come to buy your product or reach out for your services. Even if you already have a website, it’s probably time to redesign it. Every step of inbound marketing is designed to funnel people towards your website. That’s why an attractive and functional website is important from the start. Quality webdesigners are going to cost you, but it’s not an area you should scrimp on. You also need to consider website management, which is important since you’ll need to monitor your website for errors and respondaccordingly. Though a large cost, it is non-negotiable. Invest in your website. Ah, content creation—the true bread and butter of inbound marketing. Quality content is critical to helping you gain brand awareness, gain trust and authority, and improve your SEO results. It gives people a reason to visit your website over and over again. The key here is that you can’t just post any old content.Your content needs to be informative, engaging, enjoyable, and helpful. It needs to be something prospective buyers want to find to help solve their problems. You can get cheap content; however, investing in higher-quality writers to create content with depth and real value means you’ll have assets you can feature for months andyears to come. Since you’ll need to regularly post content on your website, social media channels, and elsewhere, you can expect this to be a continuous cost. When you get great results though, the content pays for itself. If quality is the beating heart of your content, then good SEO can be seen as the arteries and veins pumping blood through them. No matter how perfect a piece of content is, if potential customers cannot find it, you’re out of luck. SEO helps ensure your content is being found when keywords are searched. SEO can be complex, which is why many companies engage inbound marketing experts to support their strategies. Again, this is a service you can’t skimp on. Don’t just buy a cheap SEO package if you want to see real results. It seems like every day there’s a new social media platform popping up, while another one fades into obscurity. But make no mistake—social media is important and it’s not going anywhere for some time. With a dedicated social media manager, you can significantly grow your brand awareness, visibility, and engagement. Sure, you can try to manage social on your own, but if you want to see real returns, you need to have a dedicated, experienced social media expert managing your profiles. It’ll cost, of course, but it also offers the opportunity to really brand your company with a distinctive voice and personality your audience will remember. When in doubt—delegate to the experts! Inbound marketing can and will take up a lot of time, energy, and cost. The good news is that not only will you see ROI but you’re likely to see a lower cost per lead as well. The trade-off is that it takes time and you need to remain diligent to see those results. Inbound marketing is relatively new. If youlack the experience required to make inbound effective, consider turning your inbound marketing budget towards experts by hiring an agency that specializes in it; they’ll use your dollars and offer a higher ROI than you would get on your own.